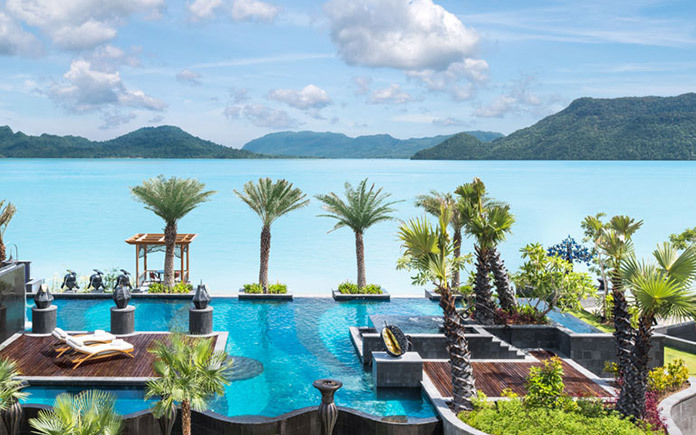 St. Regis Hotels & Resorts announced the arrival of the iconic luxury brand into Langkawi, UNESCO’s First World Geopark, with The St. Regis Langkawi. Owned by Integrated Nautical Resort Sdn Bhd, the resort is a joint venture between Rajawali Group and the Government of Malaysia’s Ministry of Finance. The opening marks the brand’s 37th address and the first ever St. Regis in Malaysia. Following the recent opening of The St. Regis Dubai, the brand is poised to continue its growth momentum this year with grand openings in Kuala Lumpur, Malaysia; the Maldives; Changsha, China and Cairo, Egypt. “The St. Regis brand remains laser-focused on increasing its presence in destinations where travelers from around the globe are seeking bespoke guest experiences, and we are thrilled to expand our portfolio in Southeast Asia with an extraordinary brand debut in Malaysia – one of the most dynamic countries in the world,” said Jim Petrus, Global Brand Leader, St. Regis Hotels & Resorts. With interiors designed by G.A Design and architecture by renowned architecture firm Gensler, the hotel channels a classical contemporary aesthetic. A vision of elegant island living, guests are welcomed into a dreamlike atmosphere where each moment thoughtfully blends indoor spaces with the outdoors. The resort’s mansion house infuses European and Middle Eastern influences with a subtle color palette of soft blues and beiges, playing up the stunning views of the surrounding landscape. Islamic arches, mashrabiya-inspired screening, and large private courtyards embrace the design’s axial symmetry, giving way to a garden oasis populated with date palms, allamanda and bougainvillea. 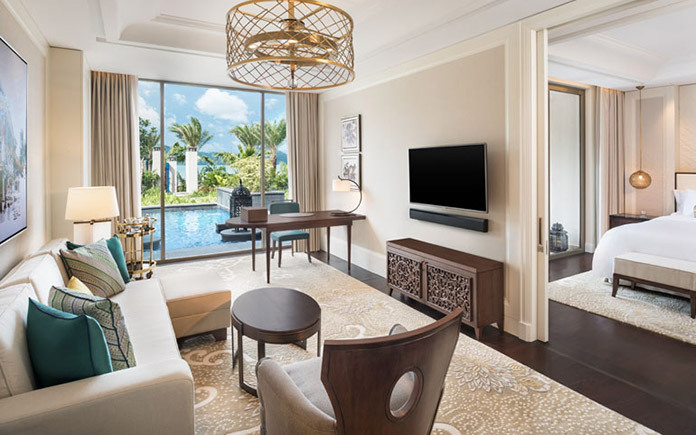 The St. Regis Langkawi is the first all-suite luxury resort in the archipelago, offering 4 private overwater villas and 85 luxuriously-appointed suites. Each suite is distinct in design with bold accent hues and imaginative paintings by esteemed local artists. All suites offer expansive, unobstructed views of the sea from spacious terraces. “The St. Regis Langkawi will be the first luxury resort to open within the last decade in Langkawi and there is an opportunity to further strengthen a market of well-heeled travelers that will appreciate the renowned brand’s tailor-made services and programs. We look forward to a long-term collaboration with Starwood Hotels & Resorts”, says Mr. Erhard Hotter, Senior Vice President Hotel Operations, Rajawali Group. 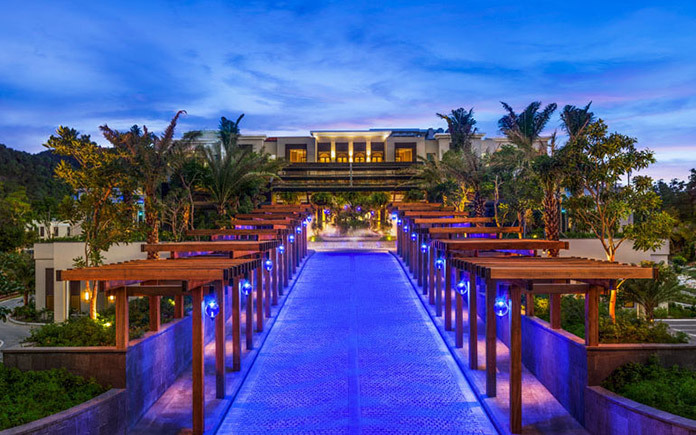 The St. Regis Langkawi features six distinct restaurant and bar venues, including Kayuputi, which serves Asian-inspired haute cuisine. Designed by renowned landscape architect, Bill Bensley, the restaurant represents a private over-water beach house of an art collector. The visual feast is augmented by a specially curated antique collection featuring century-old wooden doors and windows repurposed from the Dutch embassy in Yangon and 60 teak columns inlaid with camel bone from India. 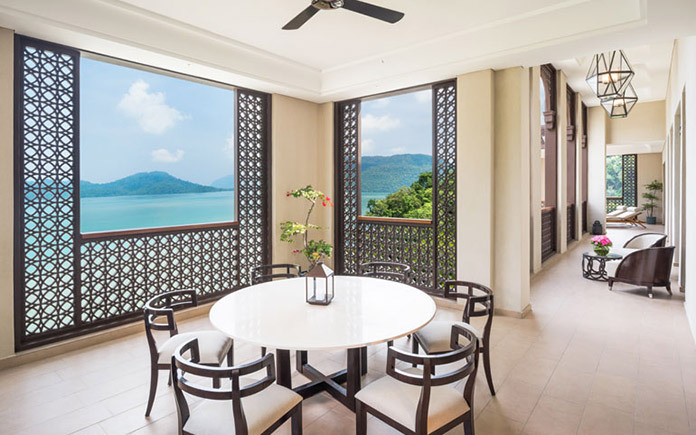 In addition, the resort also offers modern French cuisine infused with Asian and Middle Eastern flavors at L’Orangerie, featuring spectacular views of the Andaman Sea and lush rainforest. The Gourmand Deli crafts a generous selection of fresh, homemade breads and pastries, as well as a selection of refreshing iced teas infused with local herbs and spices. 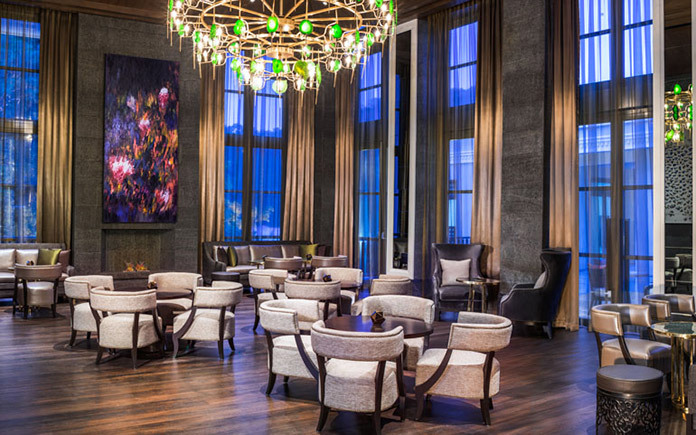 The St. Regis Bar is the premiere destination for classic cocktails and canapés and surrounds guests in a rich atmosphere influenced by its views of the dense rainforest. The Decanter wine bar is an intimate and refined space where connoisseurs can savor the pleasures of rare vintages while The Drawing Room provides the perfect backdrop for guests to enjoy intimate gatherings amid plush interiors. Spanning more than 8,600 square feet, the St. Regis brand’s signature Iridium Spa enables guests to indulge in a range of specialty massages and well-being treatments in a tranquil and inviting environment. Other facilities include a salon, an infinity swimming pool, a natural-salt water lagoon, and a well-equipped athletic club. 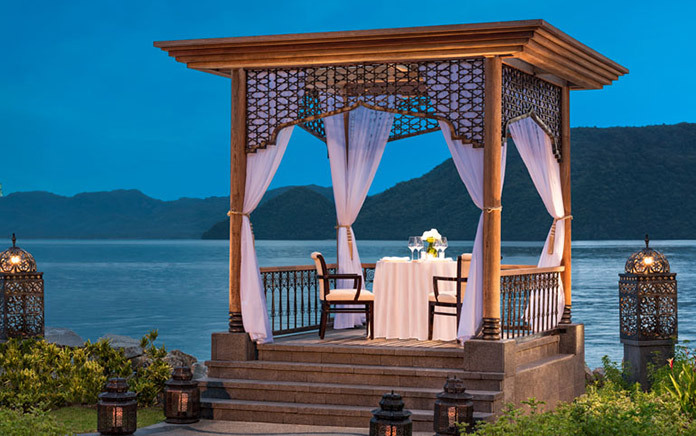 With over 10,000 square feet of private event space, including an exquisite outdoor Wedding Pavilion inspired by Moorish design, a pre-function area, and six meeting and event venues, The St. Regis Langkawi is the ideal setting for grand or intimate gatherings. Spanning 3,200 square feet, The Astor Ballroom, crowned by crystal chandeliers, features state-of-the-art technology as well as bespoke catering options to ensure flawlessly executed gatherings.